Located in Edinburgh City Centre, this venue along with its various room sizes can host the fantastic Evening and Theme Events,Casino Evenings and Indoor Team Building & Team Training events. The Four Star Holyrood Hotel is close to the new Scottish Parliament and Palace of Holyrood House, and within easy walking distance of Edinburgh's attractions, including Princes Street, galleries, museums, restaurants, bars and night clubs. Facilities include 156 en-suite bedrooms, vital health fitness and beauty club and state of the art conference facilities that seat up to 200 delegates. Situated in the city's historic and beautiful old town, just a couple of minutes' walk from the world famous Royal Mile and the Scottish Parliament building. The hotel features 156 elegant en-suite bedrooms - the perfect place to relax after the excitement and fun of Edinburgh. Pamper yourself at the luxurious spa, enjoy a meal in luxurious surroundings at our brand new Acanthus restaurant or sample a cocktail or two in the stylish bar. 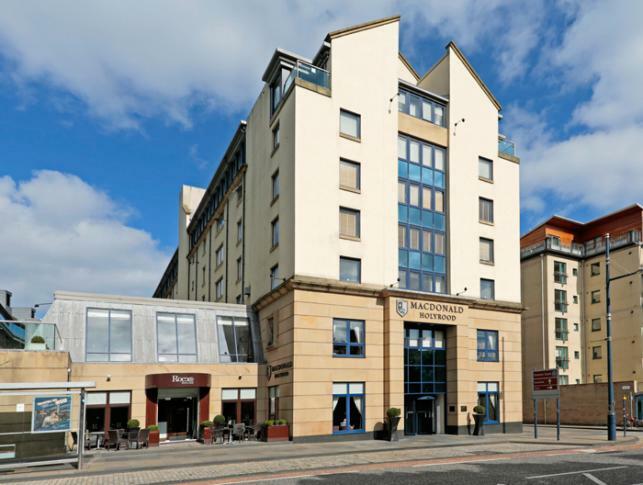 With a recent £2million investment Macdonald Holyrood Hotel is an impressive venue for your conference, meeting or training session. The self-contained conference suite comes with its own foyer and bar and our meeting rooms are of the highest standard with natural daylight, air conditioning and free WiFi. The newly upgraded Salisbury Suite also has its own private balcony with stunning views .